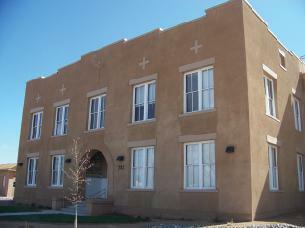 The Sandoval County SBDC and the Albuquerque SBDC have consolidated operations. New offices in Rio Rancho and in the Northeast Heights will allow the SBDC to better serve clients across both Bernalillo and Sandoval Counties. The offices and counselors will be located more conveniently for YOU to access US! You can still expect the high-level of business assistance that you have had in the past from the SBDC. Effective June 30, 2017, the Sandoval County SBDC offices in Bernalillo and at the Rio Rancho Chamber of Commerce will be relocated. 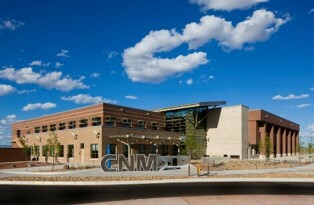 Our office in Sandoval County will be located at the CNM-Rio Rancho campus, Room RR121C. The address is 2601 Campus Boulevard NE, directly behind the UNM-West campus. A new office will be available to our Northeast Heights clients at the CNM-Montoya Branch, located at 4700 Morris NE Albuquerque, NM 87111. Please call (505) 224-5250 to schedule your next appointment at any of our CNM locations. Thank you and we look forward to continuing to assist our clients prosper in their communities and ultimately grow the economy of the Great State of New Mexico. "Ted and Harsh were very helpful and worked hard to help me meet a deadline. Thanks!" "Bryan was awesome, and I am looking forward to working with him in the future!" "Bryan was very helpful. I walked out of the office today after my meeting feeling more confident and ready to move forward." "I appreciate the professional advise and guidance received. Thank you for taking time out of your busy schedules to assist me with my future endeavor." "I have appreciated all the help that Mr. Ted Trujillo & Mr. Harsh Hariyani have given me. It has proven to be invaluable. I called them and within days I had met with them and filed for my business LLC, EIN & CRS right there upon my first appointment. It is great to know that this exists for business owners. Thank you." "Ted was very helpful and informative, I am very pleased with the service and guidance from Ted. Thank you"
"I had a meeting schedule for today Tuesday 3/24/15. My husband and I are starting a small business and need as much help as we can get. I was greeted by Harsh Hariyani, who was very nice and professional. Ted Trujillo was the person I was meeting and he answered all of my question and exceeded my expectations. I am so happy that there are establishments such as SBDC to help get small business owners off the ground. I'm grateful to this office and will refer other small business owners that I know." "Both Ted and Harsh were extremely supportive and helpful. Great visit"
"Best resources for existing and emerging small businesses. These guys and gals have been there themselves and work hard to ensure their clients follow a 'known to be good' path. Thanks all!" "Very friendly and helpful. Thank you!!" "It was a good meeting!" "We have a lot of work to do, but I'm confident that Ted will help us." "You are the A-Team for helping businesses! thanks"